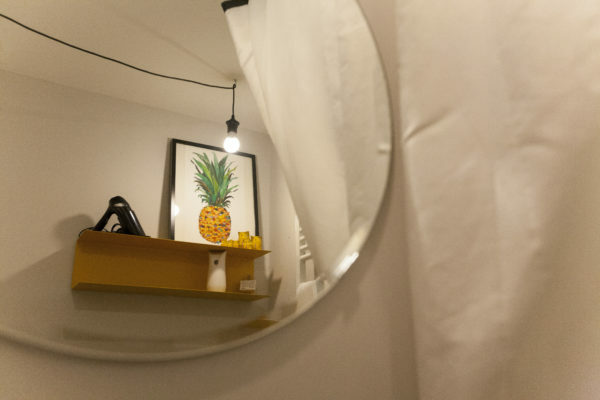 The “Pineapple “is our Standard Double Room, modern and fun! Overlooking the pretty courtyard, this double room offers a quieter, relaxed setting. Instantly your attention is immediately drawn to the high ceilings. The use of diffused lighting works well with the neutral colour of the décor and crisp bamboo wooden flooring making you want to kick off your shoes, and make yourself comfy as if you were at home! This double room offers an En-suite bathroom with complimentary shower gels and shampoo, helping you wind down after a long, exhilarating day taking in the beautiful sites that Rome has to offer.